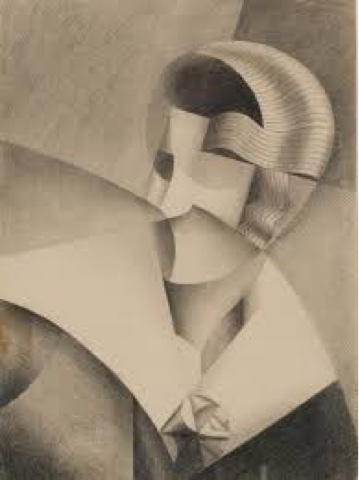 A few weeks ago, there was a picture of one of the works of Marthe Donas (1885 - 1967) in the newspaper, as an advertisement for an exhibition in BOZAR (Brussels). 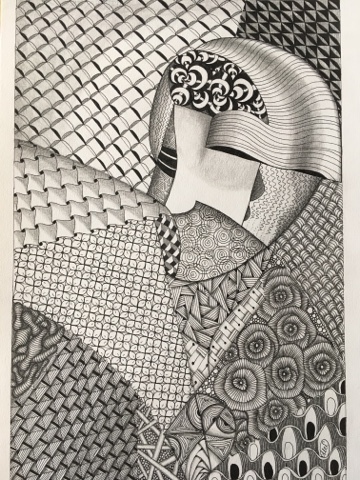 Immediately as I saw it, I wanted to make a zentangle drawing of it. This work from her Avant Garde period is 'Tête Cubiste' (1917), and it is exposed for the moment in the BOZAR in Brussels. My husband and I are going to see the exhibition soon. It took a while before it was finished, because I'm not used to work on this large format (27 x 36cm). But I'm pleased with the result.